The WMA consists of the 3,343 acre Blue Elbow Swamp. The swamp takes its name from a sharp bend in the Sabine River where the water runs as deep as 60 feet. The Texas Department of Transportation purchased the land in 1997 to mitigate the loss of wetlands incurred during various highway construction and roadway improvement projects in East Texas. TxDOT transferred the tract to the Texas Parks and Wildlife Department. The WMA lands extend from the western bank of the Sabine River just north of the community of Echo, down to the confluence of Little Cypress Bayou and the Sabine River south of IH-10 at Orange. A public boat launch is available at Bluebird Fishing Camp, just south of IH-10 on U.S. 90 in Orange. The WMA 600-foot ADA compliant boardwalk begins at the ADA compliant Texas Travel Center and extends into the swamp. Primitive campsites have fire rings and picnic tables only. There are no restrooms or designated trails. Bring your own drinking water. Fishing, primarily for catfish, is available in the canal and river. No trapping is permitted, except for crawfish. Wildlife includes western ribbon snake, western cottonmouth snakes, southern copperheads and coral snakes, western pygmy rattlesnakes, alligator snapping turtles, red-eared sliders and box turtles, nutria, otters, beaver, coyotes, bobcats, white-tailed deer, and gray foxes. A boat is necessary to get around the WMA. Maps are available from the Texas Travel Center. The Blue Elbow Swamp is the most eastern point of the Great Texas Coastal Birding Trail.TPWD plans to offer passport canoe tours of the WMA. (800) 792-1112. The WMA is located on the Sabine River at SH 87 and IH-10 in Orange. The Texas Travel Center is located at 1708 East IH-10 in Orange; (409) 883-9416. 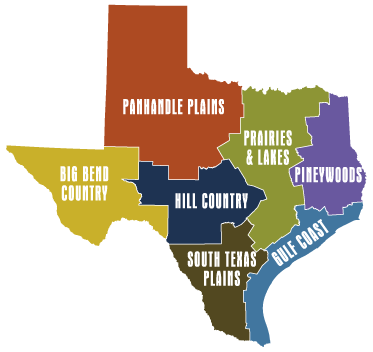 The twelve ADA compliant Texas Travel Centers are managed by the Texas Transportation Department (TxDOT). All are staffed by professional travel counselors who help travelers with routings and provide information on points of interest, events, and road conditions. Open daily, 8am-5pm; 8am-6pm, Memorial Day through Labor Day; closed Christmas Eve, Christmas Day, Easter, New Year’s Day, and Thanksgiving. From Memorial Day weekend through Labor Day weekend, the centers are open until 6pm. Travelers can also call the toll free line, (800) 452-9292. Road conditions are available 24 hours a day on the toll free line; travel information is available 8am-6pm. The line also has information on fall foliage and scenic wildflower routes during the spring. A 600-foot, ADA compliant boardwalk begins at the Travel Center and extends into the Blue Elbow Swamp. The travel center is located at 1708 East IH-10 in Orange, Texas. (409) 883-9416. The months of April through October are the worst months for mosquitoes. . Mosquitoes love standing water, and love you when you eat bananas. Mosquitoes are also attracted to some perfumes, including perfumed shampoos. Rub yourself with Bounce Fabric Softener sheets, or with Vicks Vapor Rub or pure Mexican Vanilla. Some swear taking a daily vitamin B-1 pill works to repel mosquitoes. Planting Marigolds in your yard repels mosquitoes. On a picnic table try covering the bottom of a white plate with “lemon fresh” dish wash soap, or use citronella candles. Home Depot sometimes sells the candles in small metal buckets. The ThermaCell Mosquito Repellant is also quite effective in ridding small outdoor areas of mosquitos. Dynatrap Company makes a large standing electric mosquito machine that works like electric bug zappers. It is very successful at making large areas mosquito free. When purchasing mosquito repellent buy those with the ingredient N, N-diethyl-M-toluamide. Some that work include Off! Deep Woods, Off! Family Care Unscented with Aloe Vera, Cutter Unscented, Maggie’s Farm Natural, EcoSmart, All terrain Herbal Armor, Off Clip On, and Johnson & Johnson’s Baby Oil with Aloe Vera and Vitamin E (expensive). The fine net clothing available from Cabela’s and other sporting goods stores is highly effective in preventing mosquito bites. For Orange County Mosquito Control call (409) 883-5717. Fishing, primarily for catfish, is available in the canal and river. No trapping is permitted, except for crawfish. Unattended fishing lines or crawfish traps are prohibited. Amenities at this Orange County park include a Sabine River boat ramp and boat dock, a fishing pier, a large picnic shelter, a small playground and three picnic tables. The park is open 24 hours a day. Orange County Parks Department: (409) 745-2255. 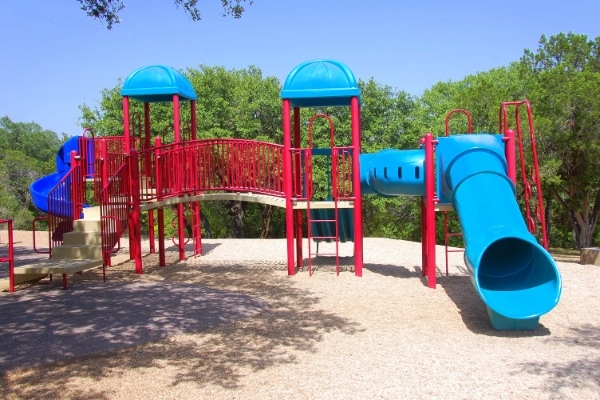 The park is located on Simmons Drive, just south of IH-10 in Orange.